Apple Airpods MMEF2 are recently launched in Pakistan. It's a must have product if you own a Apple iPhone 7 because there isn't any port to connect the headphones in iPhone 7. 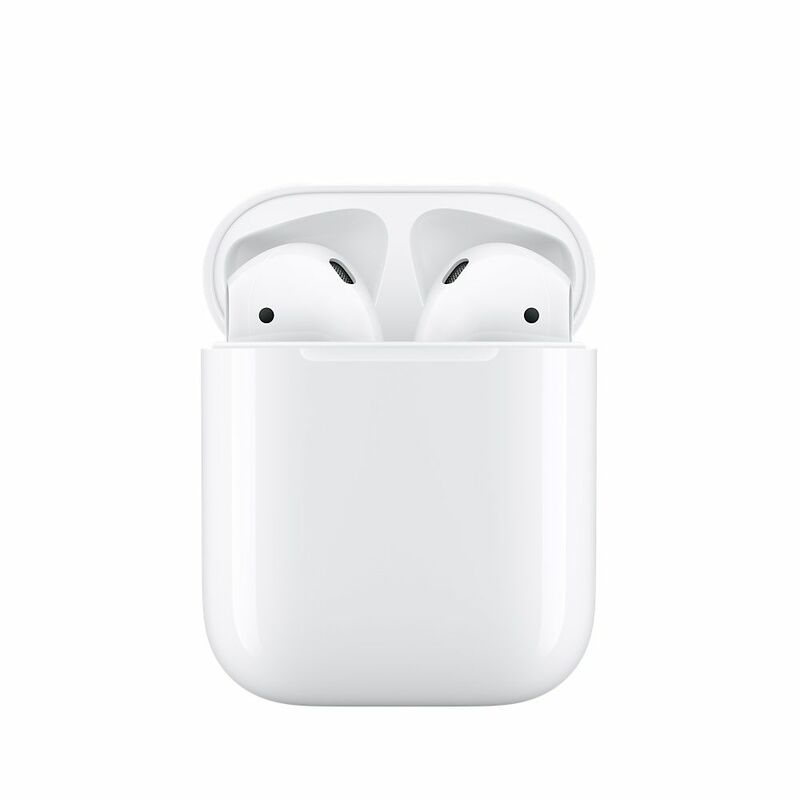 The superb sound quality, with long lasting battery life and wireless connectivity, Airpods are the best wireless headphones in today's tech market. If you're looking forward to purchase the Apple Airpods then just click on the Buy Now button below and place your order now. Paklap offers the lowest price of Apple Airpods (MMEF2) in Pakistan. You can also call us and place your order at 03000-369890. WHAT exactly ARE APPLE AIRPODS? 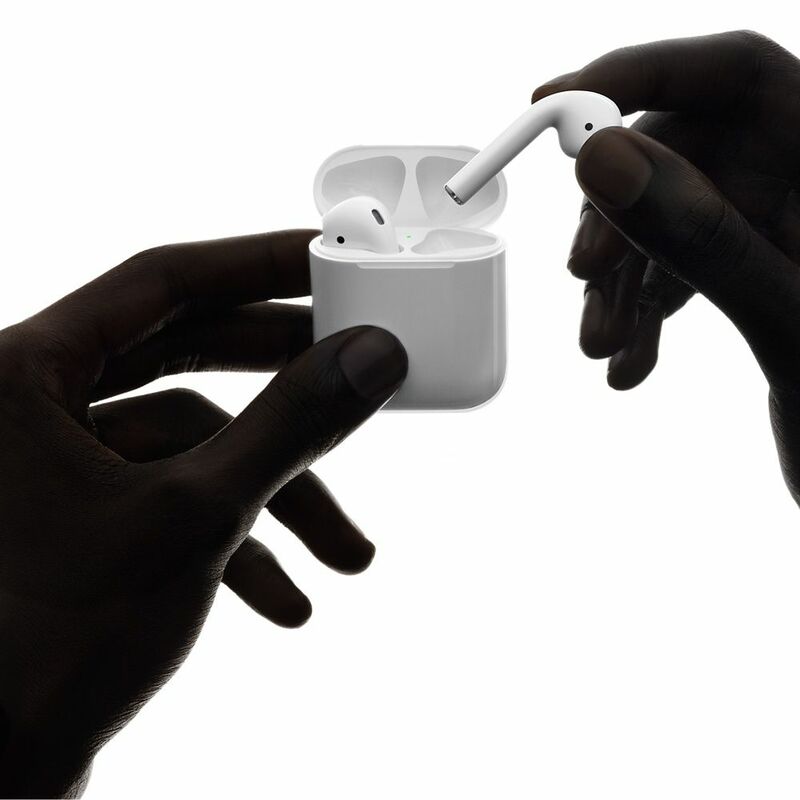 Apple AirPods MMEF2 are the first entirely wireless earphones by Apple, and they’re sold as the ideal companion to the recently launched Apple iPhone 7. In many ways, airpords are the best wireless earbuds you can buy right now, why buy them? Because they look classy, and it’ll be a shame to have an iPhone and not have these beautiful airpods. It's not all about looks and style, thanks to a rock-solid connection, easy setup and great battery life the Apple Airpods have taken the market by storm. Untangling headphones are the thing of the past, why to waste precious time on untangling them when you can simply put them in your ears and here you go, it's done. No wires, no worries! The music automatically starts as soon as you put them in your ear and they automatically pause if you take them out. All you need to do is to tap twice for adjusting volume, attending a call or for Siri. They are driven by a custom Apple W1 chip, but that’s not all the Apple airpods use motion accelerometer and optical sensors to detect whether they are in your ears or not. The chip also reduces noise in the background and directs your voice to the microphone instantly. Yes, this is a question which is on everyone's mind, but we have good news for you. 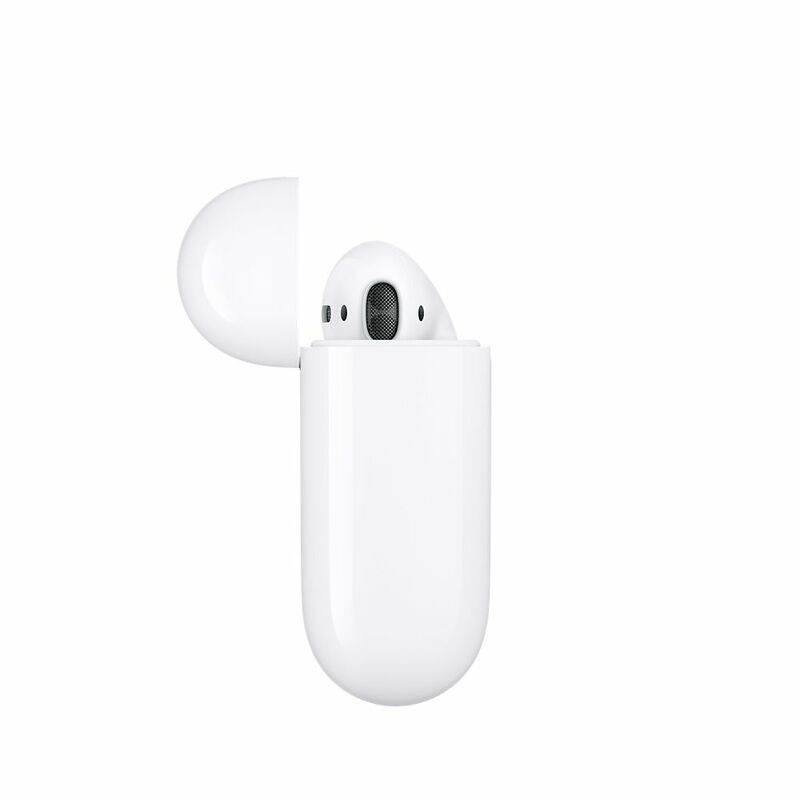 The airpods have excellent battery life, an industry leading 5 hours of listening duration on a single charge and with the charging case you can charge your airpods on the go. The charging case can provide a duration of 24 hours of listening time, even a short charge of 15 mins can give you 3 hours of listening time, no that’s worth it! The airpods (MMEF2) aren’t just for show, they deliver an exquisite sound quality, rich music with true high definition AAC audio, play for favorite song on the airpods and you’ll fall in love with it all over again. Is it any good while talking on a call? Definitely, far better than any other handsfree, the dual beamforming microphones reduce the noise making your voice clear and loud. Glad, there’s no wire! 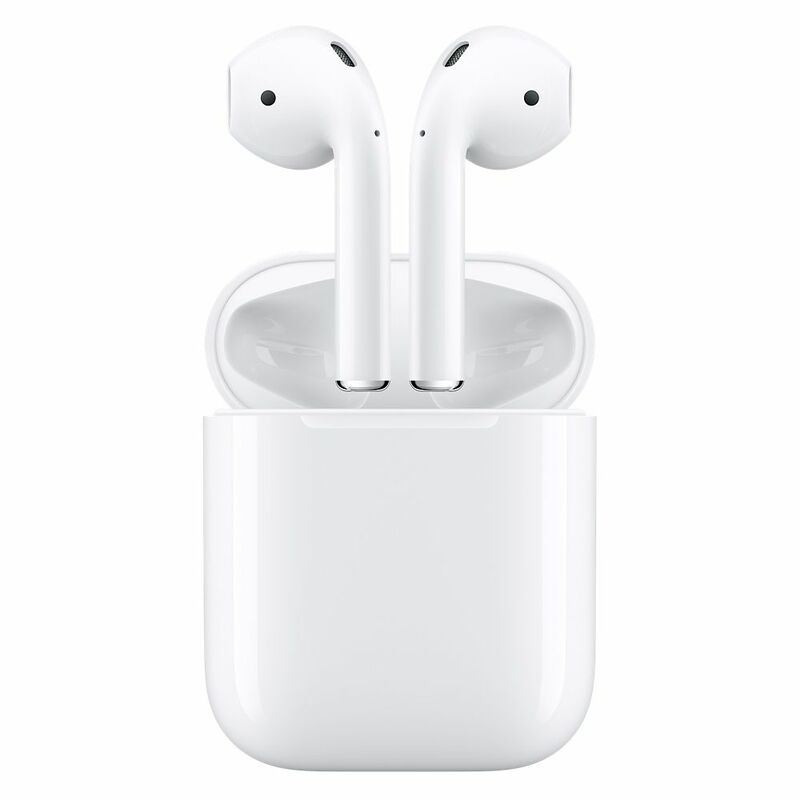 The Apple Airpods MMEF2 connect automatically to all your apple devices, whether it be an iPod, iPad, Mac, or your iPhone, all you need to do is choose and enjoy the heavenly music in your ears. There are many reasons to buy the MMEF2 Airpods. You won't have to waste time on untangling headsfree ever again, just put them in your ear and enjoy, take them off and the music is paused. The sound quality is noticeable here, yes, there are other headphones available in the market, but none has the superior audio quality as the Apple Airpods, then we have the battery time, 5 hours on a single charge, 24 hours of listening time in the charging case and 3 hours of listening time in just 15 mins of charge, are all the reasons why you should buy the Apple Airpods. Superior class, elegance, and high quality are clearly visible in the Apple’s Airpods, their design is set to fit in all ear shapes and you can listen to music on the go. Say take them while going out to the gym or for work and don’t worry, they don’t fall out that easily, so hurry up and get your Apple Airpods todays. 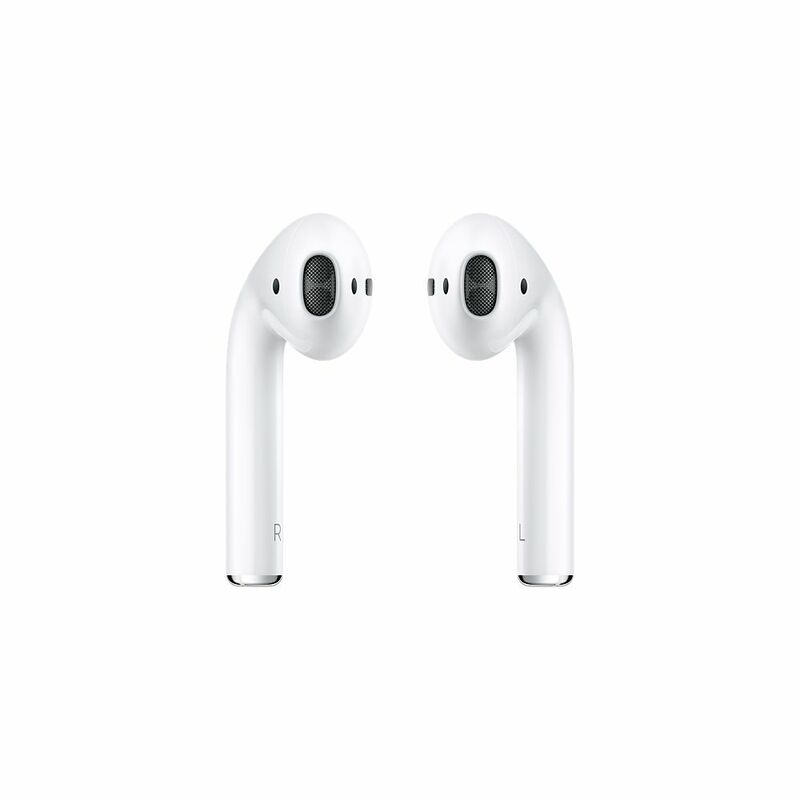 If you are looking for Apple Airpods then look no further just click on the Buy Now button and place your order now. Paklap offers the lowest price of Apple AirPods MMEF2 in Pakistan. You can also call us at 03000-369890 and place your order for your ease.